Previous image, 29 total items. Next image, 29 total items. From Yosemite Falls to Half Dome and El Capitan, you can see some of the most stunning scenery in the world from Yosemite National Park’s central valley. Yosemite Valley is the emerald green heart of Yosemite National Park. Marvel at the soaring granite walls, including some of the park’s most iconic landmarks, flanking this 8-mile (13-kilometer) canyon. Just about everywhere you turn in Yosemite Valley, you’ll see a thundering waterfall cascading from a clifftop above. The most visited is Yosemite Falls, which is the largest waterfall in North America. Other notable ones include Sentinel Fall, Bridalveil Fall and Nevada Fall. In February, don’t miss Horsetail Fall, which famously appears as if it is on fire when it reflects the sunset. For a close look at one of the world’s most recognizable rock faces, bring your picnic blanket to El Capitan Meadow. El Capitan, a favorite destination for rock climbers and cliff jumpers, towers above you. 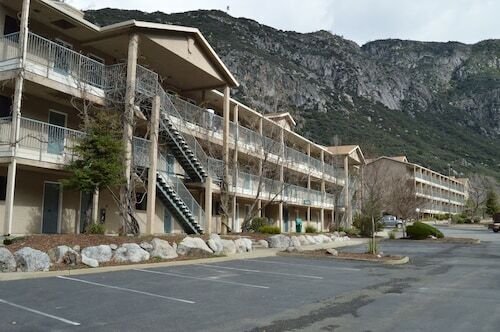 This is located along the one-way Northside Drive, so you should stop here on your way out of Yosemite Valley. Half Dome is an iconic symbol of Yosemite, recognizable in Ansel Adams photographs. Although its face is best left to experienced climbers, hardy hikers can reach its summit along a 15-mile (24 kilometer) loop trail that begins in Yosemite Valley. You can do the climb in a day or to make the experience more relaxed, stay overnight in one of the campsites along the trail. If you’d rather settle for a great vantage point of the vertical face, visit Sentinel Bridge, where you can see Half Dome reflected in the Merced River. Get your camera out at Tunnel View, which provides one of the best vistas in Yosemite National Park. Stop at the east end of the Wawona Tunnel and enjoy the panoramic view of El Capitan and Bridalveil Fall with Half Dome towering in the background. Driving through Yosemite Valley is allowed throughout the year. During busy periods, avoid traffic congestion and take advantage of the valley’s free shuttle service. 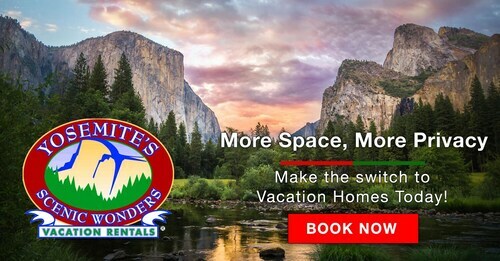 With year-round service in eastern Yosemite Valley and summer service as far west as El Capitan, this is an effortless way to see the area’s major attractions. You ought to consider buying a Yosemite Self-Guided Audio Tour or a Beginner Yosemite National Park Guided Adventure Hike for 2 during your visit. These activities are a few of the most sought-after. Check out our California things to do page to discover more activities while you're in the area. Explore the meadows of Yosemite National Park’s high country and see its velvety green plains studded with stunning granite domes, Sierra willows and wildflowers. Witness a superb panorama of the Yosemite Valley from this viewing point and spot soaring canyons, plunging falls and granite cliffs along the rugged valley skyline. Experience the enormity of Yosemite Valley’s glacially carved granite peaks when you gaze upon this distinctive formation and rock-climbing landmark. The first tier of the Merced River’s magnificent waterfall plunges from a jagged granite precipice in a cloud-like curtain and is surrounded by pines. Make your way up an immense natural staircase to reach the powerful plumes of this magnificent waterfall and enjoy views of the gleaming water-streaked granite. You may hear these thundering falls, which are among the top 10 tallest in the world, before you see them in California’s Yosemite National Park. Climb or hike to the top of a granite massif and look out across sweeping meadows and glacier-fed rivers from the rocky outcrop’s rounded peak. Be greeted by the thunderous waterfall that plunges into Yosemite Valley from high above when you reach the end of a pleasant wooded pathway. Discover the geological history of the Yosemite Valley, pick up trail maps and shop for souvenirs at this portal to Yosemite National Park. Look out into the wide expanse of Tenaya Canyon from this viewpoint and see the stony sentinel of Half Dome presiding over the tree-studded valley. Experience one of America’s iconic natural sights, a sweeping view of the forests, waterfalls and monolithic granite mountains of the Yosemite Valley. Explore a jewel of a lake located between North Dome and Half Dome. It is the final remnant of an ancient glacial lake that once covered Yosemite. Enjoy entertainment under the stars, ranging from ranger talks to nature movies, during the summer months in Yosemite National Park. Trek to the top of Vernal Fall and Nevada Fall along Yosemite National Park’s signature hiking trail. Expect to be generously sprayed by both waterfalls. 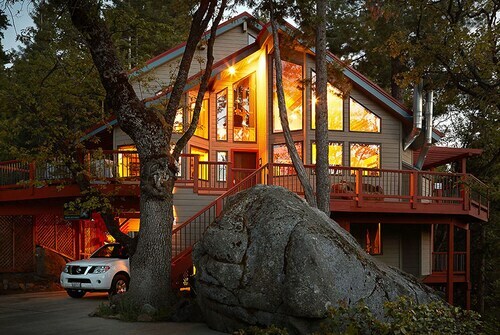 This vacation lodge fronts the wild Merced River and is just 2 miles from the entrance to Yosemite National Park. These cabins are located throughout the area in Yosemite National Park. Situated in a rural location, this historic vacation home is 2.7 mi (4.3 km) from Sierra National Forest and within 9 mi (15 km) of Yosemite Valley and Badger Pass. Tunnel View and Bridalveil Fall are also within 12 mi (20 km). 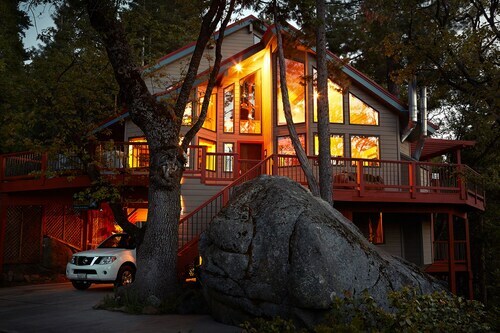 Situated in Yosemite National Park, this vacation home is within 9 mi (15 km) of Sierra National Forest, Yosemite Valley, and Badger Pass. Tunnel View and Bridalveil Fall are also within 12 mi (20 km). Situated in Yosemite National Park, this romantic property is within 9 mi (15 km) of Sierra National Forest, Yosemite Valley, and Badger Pass. Tunnel View and Bridalveil Fall are also within 12 mi (20 km). 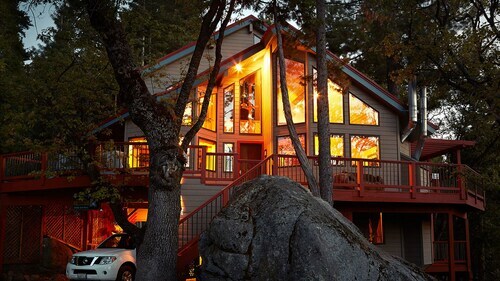 Situated in Yosemite National Park, this romantic vacation home is within 9 mi (15 km) of Sierra National Forest, Yosemite Valley, and Badger Pass. Tunnel View and Bridalveil Fall are also within 12 mi (20 km).